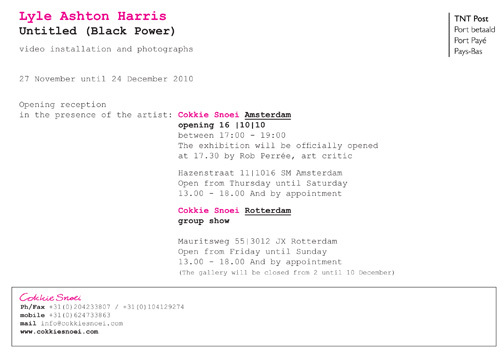 Lyle Ashton Harris‘ Untitled (Black Power), opens at Cokkie Snoei in Amsterdam November 27th! 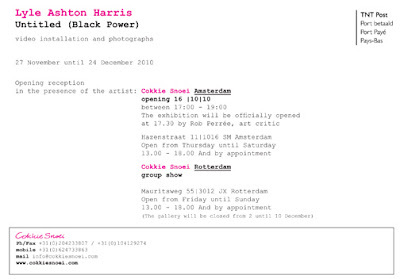 If you didn’t get to see the exhibit this past February at the CRG Gallery in Manhattan, and are in Amsterdam, be sure to pop by the show. He has worked for the past 5 years in Accra, Ghana through New York University and the show will encompass his personal experiences within the culture of Ghana, one of the most progressive countries of Western Africa in a Post-Colonial time.